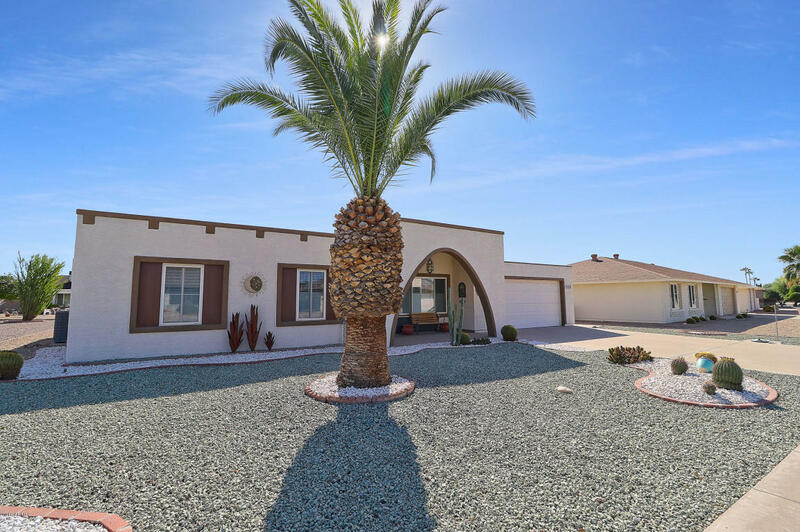 VERY NICE 3 BEDROOM, 2 BATHROOM HOME IN SUN CITY. THIS HOME IS CLEAN AND BRIGHT THROUGHOUT. THERE ARE TALL CEILINGS, NEUTRAL COLORS AND WONDERFUL FLOORING INSIDE. THE LOT SIZE IS JUST UNDER .25 ACRES. ROOF WAS RE-COATED AND STUCCO WAS DONE IN 2016. WATER HEATER WAS INSTALLED IN 2017. THE FURNITURE IS FOR SALE OUTSIDE OF ESCROW. THIS IS A HOME YOU WON'T WANT TO MISS VIEWING!